Our hotel is a friendly family-run house. 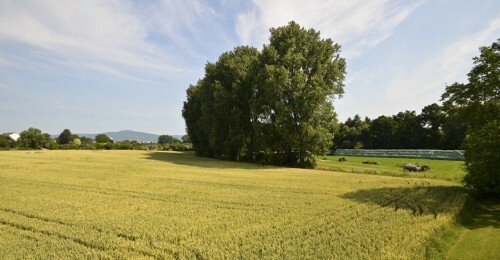 The Hotel is located next to a field and lawn, which is ideal for hiking, jogging, cycling and relaxing. Our guests enjoy the silence of the country side, while being centrally located. Every room is equipped with a shower, toilet, TV, desk, telephone and free Wireless-LAN. It is possible to connect a fax machine or modem to the room. Breakfast contains a rich buffet, which can be enjoyed outside during warm weather. The hotel offers comfortable rooms in country house style. They are decorated lovingly equipped with shower, toilet, telephone and hairdryer. The different room categories depend mainly on the size of the room and if they maintain a daylight bath or a small terrace. Every room has its own individual design and is furnished in a country house style. 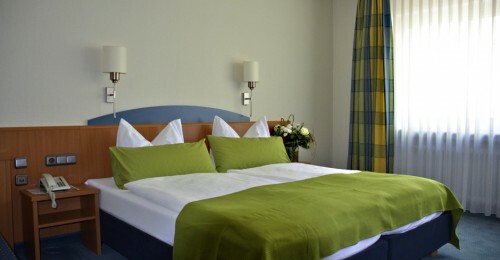 Our country hotel is located next to the green border of Sulzbach but still not far from the highway. Therefore the trade fair Frankfurt and the airport Frankfurt are easy to access. Taunus or Rhein-Main-area – whether you want to enjoy the beautiful nature of the Taunus or to explore the cities Frankfurt, Darmstadt, Wiesbaden or Mainz – our hotel offers the perfect location.